Leading global flexible and rigid plastics packaging company Amcor has announced a partnership with Norway-based Kezzler AS, a leader in serialisation business services, to offer customers a full service, advanced packaging serialisation, backed by a cloud platform. The new product, MaXQ, is a powerful coding system that offers brand owners unique identification codes printed on every pack, which can be used for digital consumer engagement, anti-counterfeiting, and track and trace. The unique, serialised code printed on each pack can be read with a smart phone, or sent via SMS. “Our customers are looking to provide more personalised experiences for their consumers. And increasingly, our customers must take action against the counterfeiting of their products. 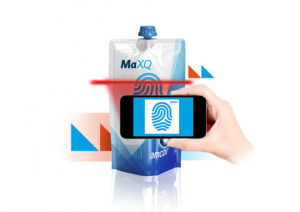 We are extremely pleased to partner with Kezzler in giving each pack a unique digital identity, to address these needs,” said Marco Hilty, Vice President Marketing and R&D for Amcor Flexibles Europe and Americas. “Partnering with one of the most respected packaging companies in the world is a testament to the technologies and services we have developed for many years. We believe MaXQ will eliminate the complexity of serialisation services. Amcor and Kezzler provide a seamlessly integrated service that covers printing and IT operations, so brand owners can fully concentrate on their brands and their consumers instead of on logistics,” added Kezzler CEO and founder, Magnar Loeken. According to the official media release, the codes can be expressed as QR, alphanumeric, or bar codes generated by Kezzler at over 1 billion per minute and printed by Amcor at industrial speed. The dynamic codes are activated by brand owners and can be managed using Kezzler’s technology platform. “Standard QR codes on packaging are static and provide very little dynamic content. The same code is printed on millions of packs and will in most cases just take the consumer to a static webpage,” said Mr Hilty.